Located in Chicago, Illinois, Lincoln Park Zoo provides a free and family-oriented wildlife experience that focuses on animal care, education, science and conservation. Offering insight into the lives of nearly 200 species, the 49-acre Lincoln Park Zoo is dedicated to inspiring communities to create environments where wildlife can thrive in our urbanizing world. Nearly 3.6 million annual guests can have fun and soak in the natural beauty of the animals while enjoying an eco-friendly institution. Lincoln Park Zoo operations team plans, designs and builds a variety of applications for both the animals and zoo visitors. This team is paving the way for environmentally-friendly and innovative solutions by designing, prototyping, building and installing unique applications that increase habitat complexity. Lincoln Park Zoo faces design and build challenges due to the requirements for exhibits and their building materials. The products used must be easy-to-clean, structurally strong, have the ability to hold up in a variety of weather conditions and be able to withstand extreme wear-and-tear 365 days a year. Guest and animal safety is a top priority for Lincoln Park Zoo which meets or exceeds the standards in place from the Association of Zoos and Aquariums (AZA). 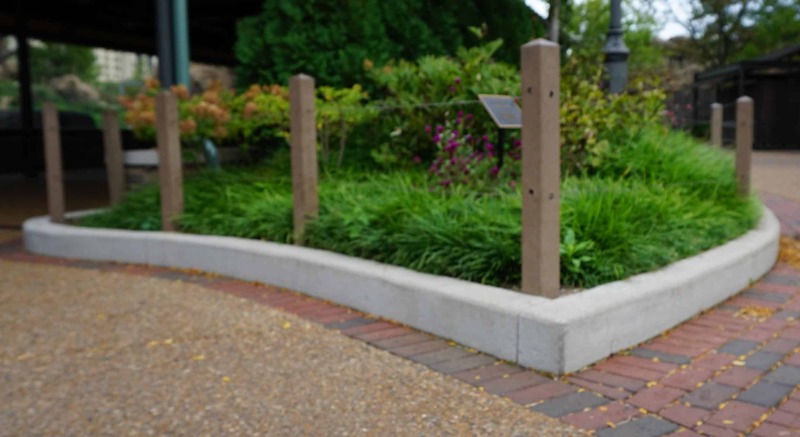 A challenge for Lincoln Park Zoo was to maintain a natural-looking aesthetic throughout the park. Since the non-animal areas also need to withstand heavy use, they wanted to find a building material that matched the natural look of the park, while also providing durability. The material also needed to stand up to outdoor environments and weather conditions. Some projects in these areas included gates, walkways, benches and fences. Traditional building materials like wood and metal weren’t a great fit for these outdoor applications due to the performance characteristics of these materials. Wood breaks down over time and metal rusts and corrodes. 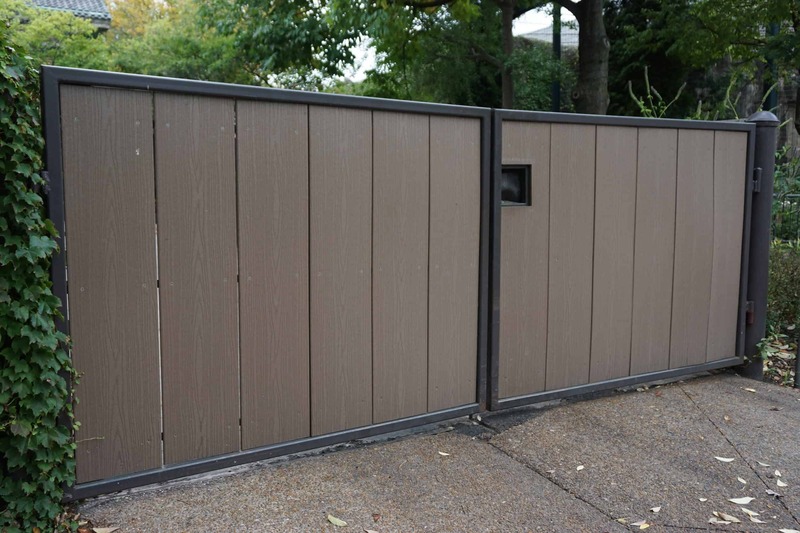 With Lincoln Park Zoo being open 365 days a year, replacing pieces and parts can disrupt the visitor experience and/or unnecessary maintenance can be disruptive to the animals; so the zoo was challenged to find a material that wouldn’t corrode and didn’t need to be replaced often. A second challenge Lincoln Park Zoo faced was finding a material that aligned with the environmental conservation and recycling initiatives. The zoo works a lot with reclaiming and recycling materials, but wood and metal didn’t meet the environmental criteria. Finding a structural, environmentally-friendly building material that could stand up to changing weather conditions was extremely important. 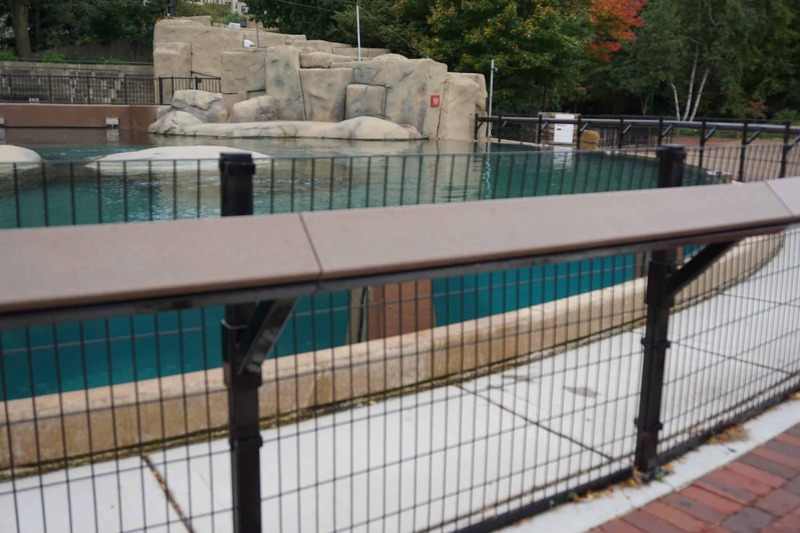 FiberForce® by Bedford Technology was the best solution for numerous Lincoln Park Zoo projects. Not only is this building material ultra-strong, it is also versatile and environmentally-friendly. The product was appealing to the zoo and is a great fit for many applications. FiberForce® aligned with the environmental conservation and recycling stance and was easy to work with. Before using any product for projects at the zoo, it must go through a long testing phase and be approved for ease of cleaning and durability. FiberForce® exceeded these criteria. The product has also been approved for certain animal areas because it is colorfast and doesn’t require painting and it also doesn’t absorb pathogens like dirt and bacteria. After working with the product for many years, the zoo’s facilities team at Lincoln Park Zoo has found many uses, and continues to push the boundaries and create new applications every day. Lincoln Park Zoo continues to use Bedford Technology products to design and create innovative solutions around the zoo. Environmental conservation and recycling are top priorities and using structural recycled plastic lumber meet that criteria. FiberForce® by Bedford Technology is included as a recommended building material in the design standard guide. This guide outlines specific building material and project requirements for all Lincoln Park Zoo applications to keep a consistent look and feel. Along with the design standard, many other facilities around the United States are recognizing the innovative and inspiring projects and have inquired about the design guide and building material. Over the last 8 years, Lincoln Park Zoo has saved more than 900,000 milk jugs from going into the landfill and used this material to enrich the lives of the animals and the guests at Lincoln Park Zoo. Kovler Seal Pool (pictured below) – Public handrails have been designed and installed for the visitors to rest their arms on while they watch the seals. Gates (pictured below) – Numerous gates around the park. Benches (pictured below) – Back benches and platform benches have been designed, created and installed throughout the entire facility. A sponsorship opportunity for the zoo, the plastic lumber holds up in harsh environments, allowing the sponsor family members to enjoy their monument for generations to come. 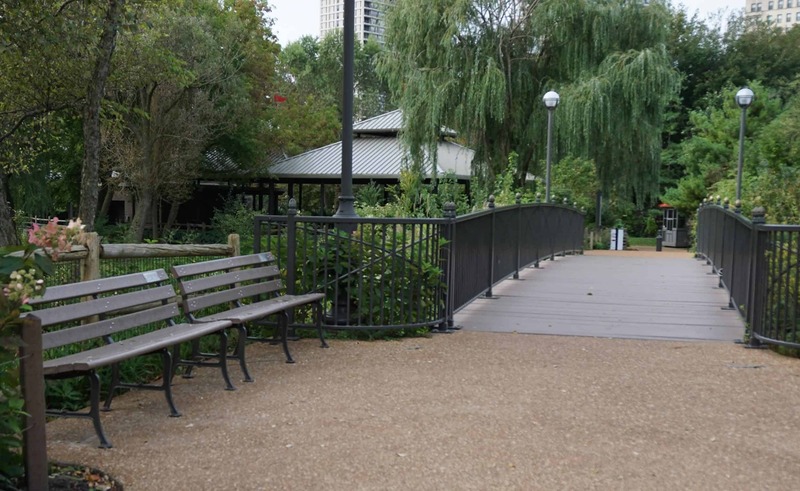 Decking/Boardwalks (pictured below) – Many areas have recycled plastic lumber decking and boardwalks; Swan Bridge, Fern Garden, Regenstein African Journey giraffe, meerkat and aardvark exhibit are just some of the areas around the zoo. 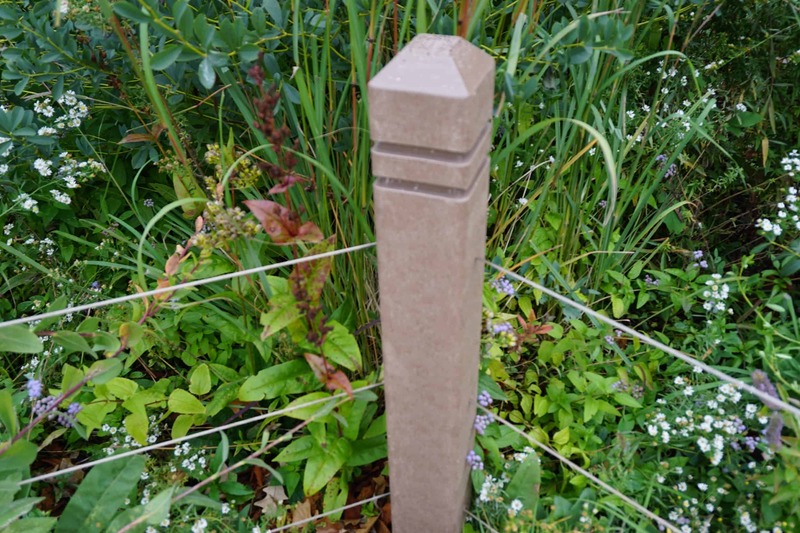 Fencing/Fence Posts (pictured below) – These fences provide streamlined walkways for guests. 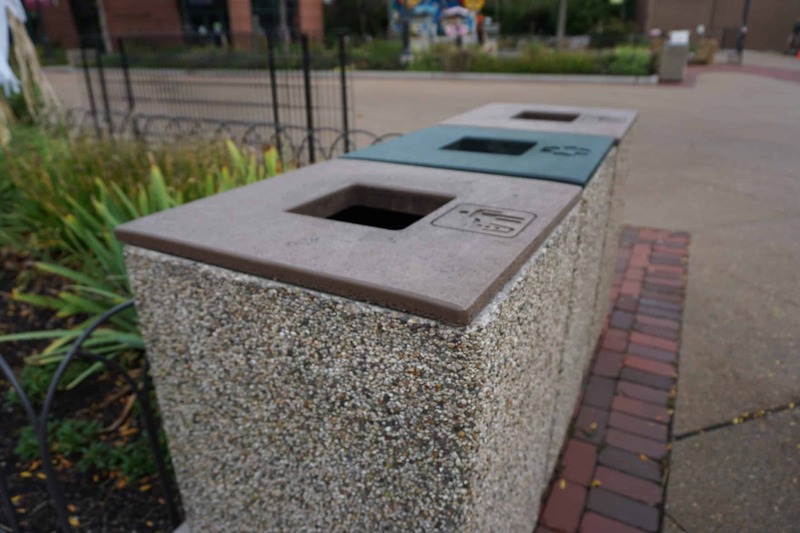 Site Amenities (pictured below) – Since recycling and conserving the environment is a huge priority for Lincoln Park Zoo, they have created and installed trash and recycling receptacle covers to encourage visitors to recycle and help preserve the environment. Doorstops – Doorstops have been created to be used throughout the facility.